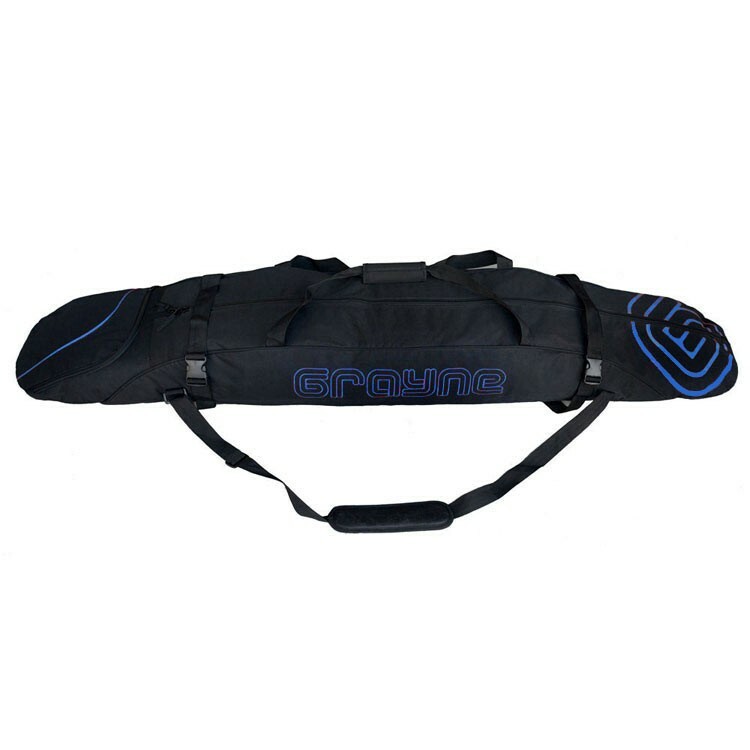 The Grayne Padded Snowboard bag is your snowboard’s best friend! Made with ultra durable Ballistic Nylon and double stitching throughout, this bag will hold up to many seasons of heavy use. The main compartment fits your complete setup of board, boots and bindings all the way up to 170 cm. The extra accessories pocket will hold everything else you need like gloves, goggles and even any tools you have! But most importantly, this bag will keep your board in mint condition during your travels! With inner and outer straps to secure your board in place and a padded back, this bag will protect your board from most any abuse you throw at it! The bag also features both a reinforced and padded handle as well as a padded shoulder strap to allow for easy carrying to and from the mountain. If you're looking for the perfect bag to protect and carry all your snowboarding gear this season the Grayne Padded snowboard bag is for you!